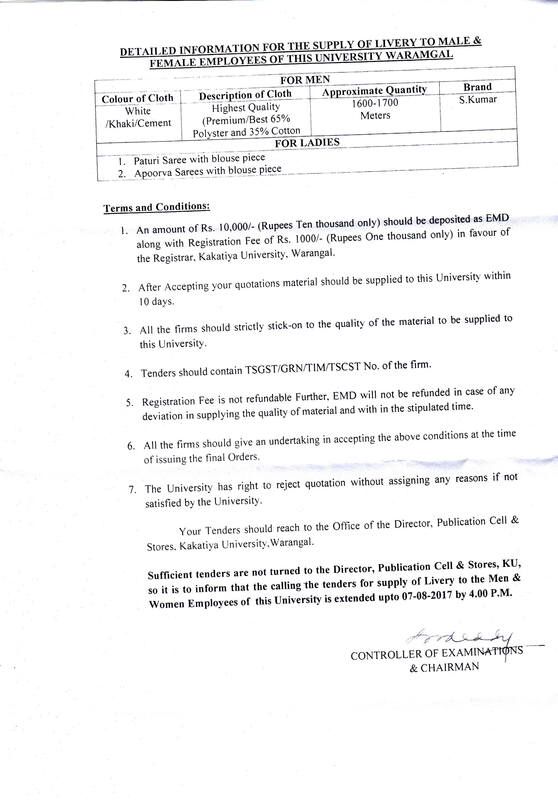 KUCT&T Call for quotations external internet cable work and installation. 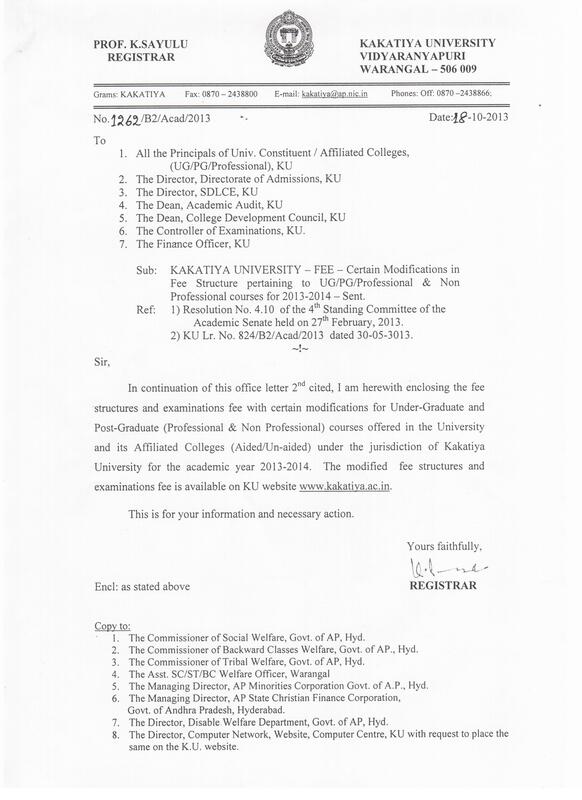 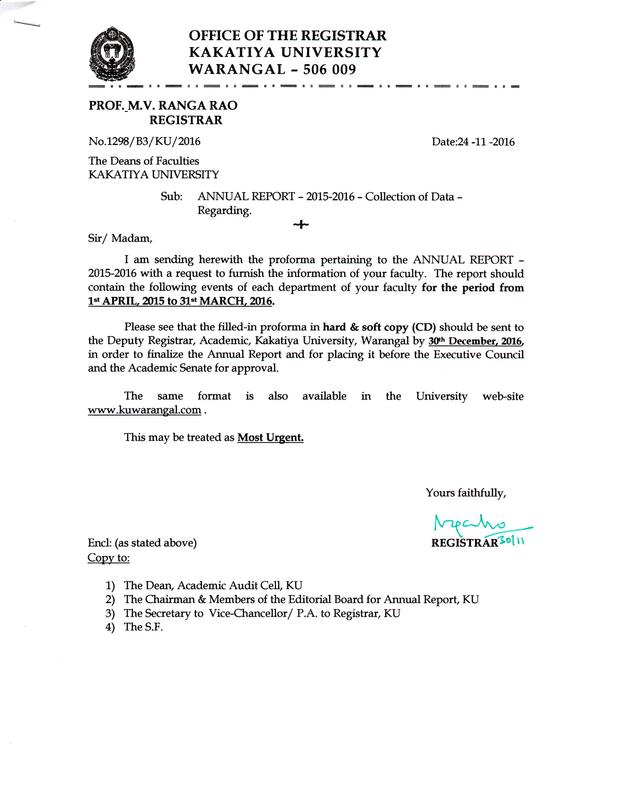 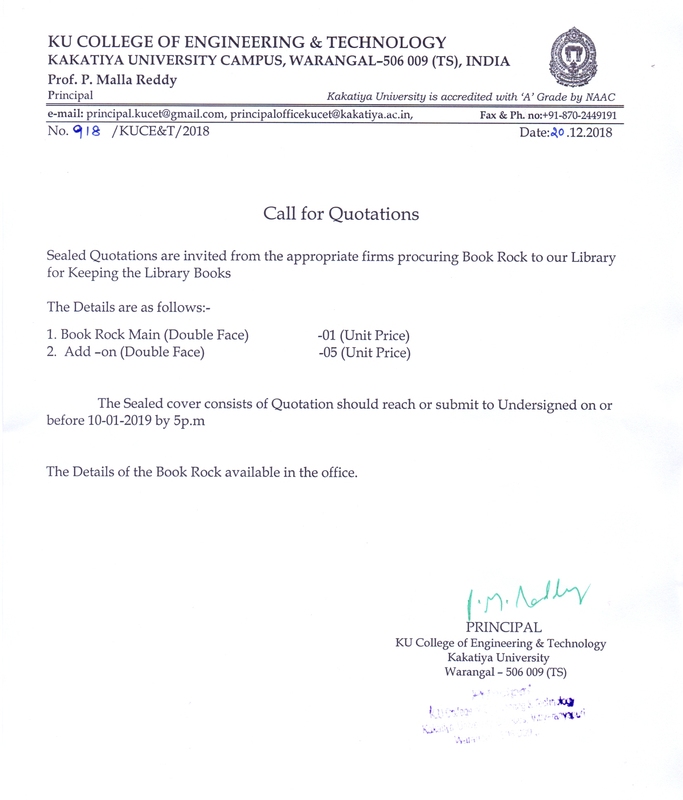 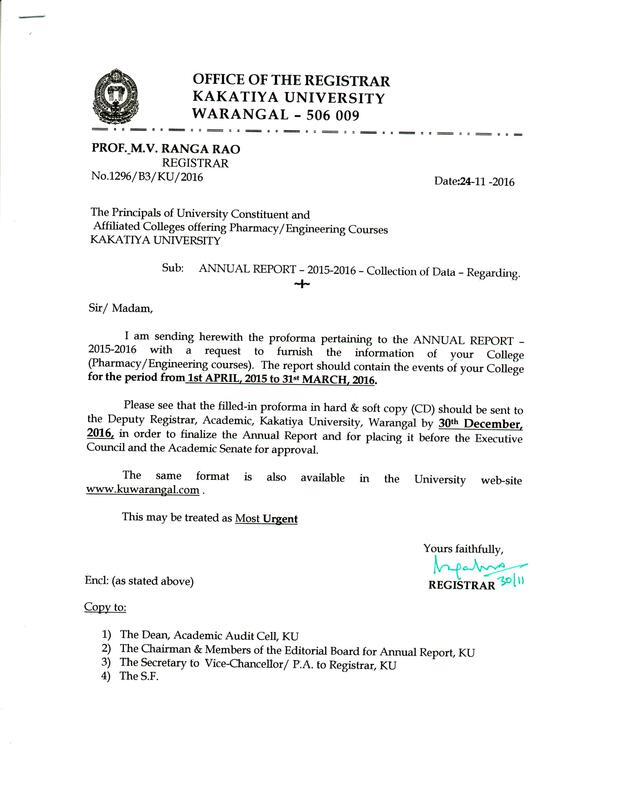 "Call for Quotations - KUCE&T"
Annual Report Format for Affiliated Colleges -Pharm/Engg. 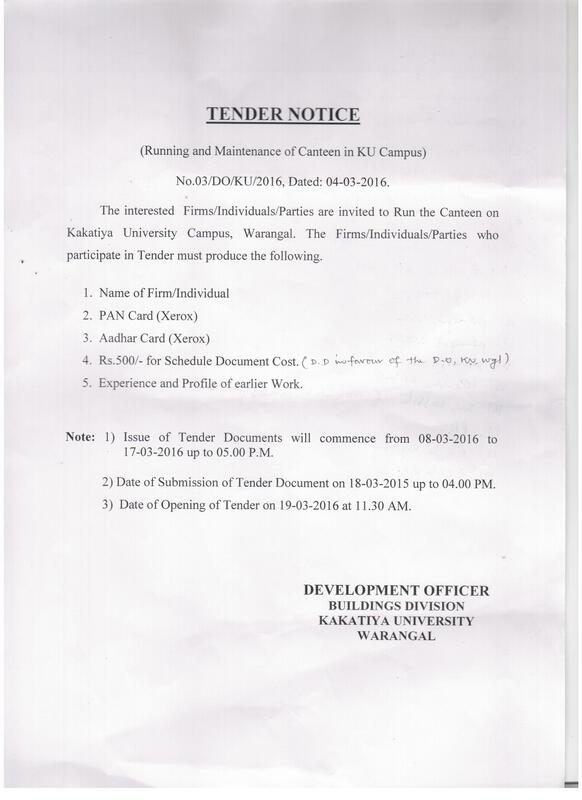 "Tender Document for KUPGCET-2017 Online Admissions Process"
Implementation of Choice Based Credit System in PG ( NP) Courses from the academic year 2016-2017. 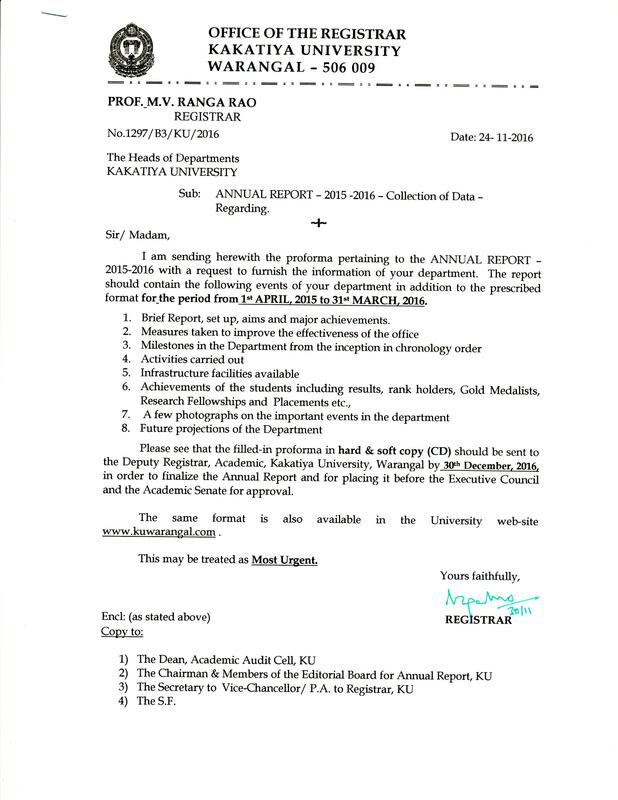 Tenders are invited for the supply of Dynamics of Machinery, Fluid Mechanics, Measurements of Metrology, Heat Transfer, Electronics & Communication Engineering Lab Equipments, for KU College of Engineering and Technology. 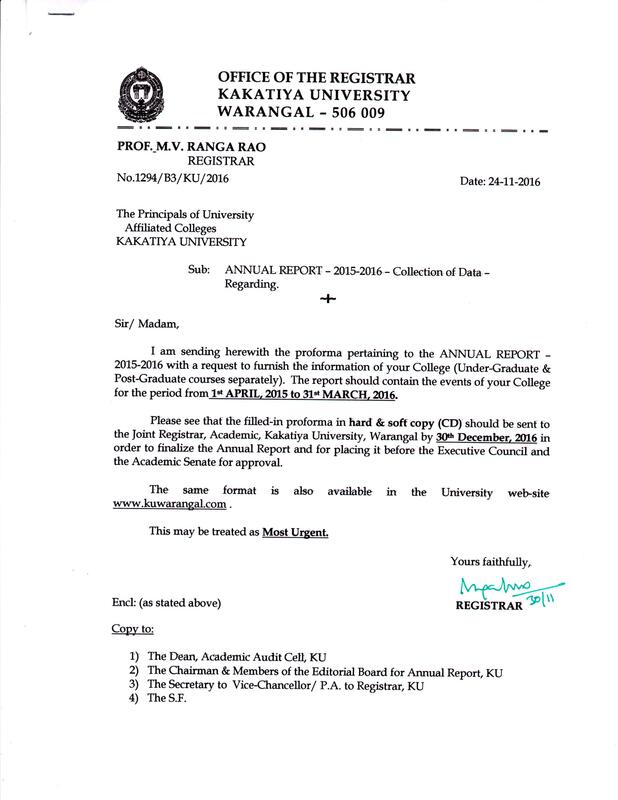 Lecture notes of the resource persons who delivered lectures at Orientation Programme for University Teachers conducted recently by IQAC, KU. 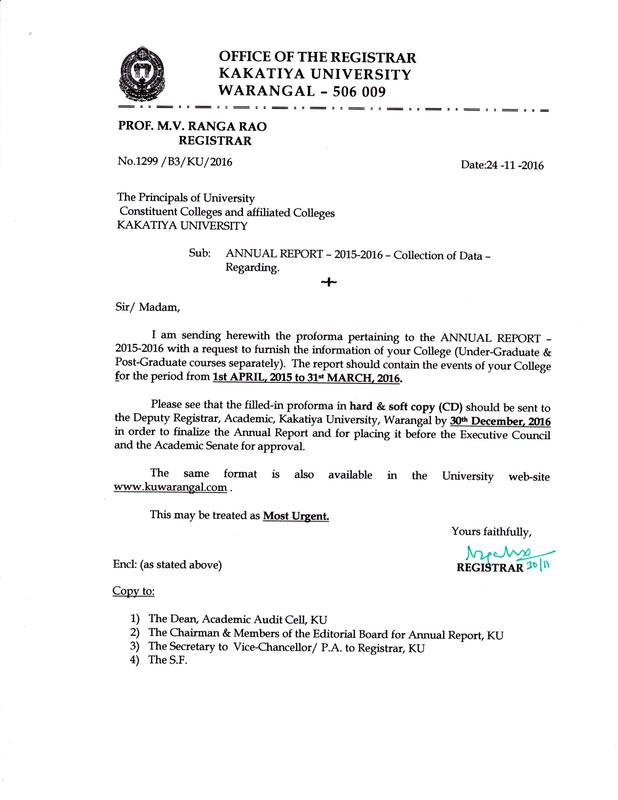 Lectures delivered at Awareness Programme for Affiliated colleges under KU and Satavahana University in third part for the benefit of College managements, Principals, students, University Officials. 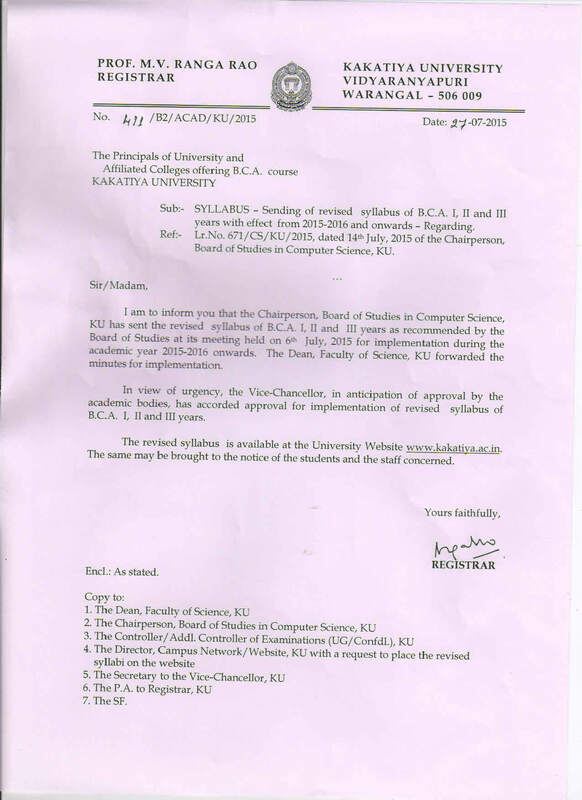 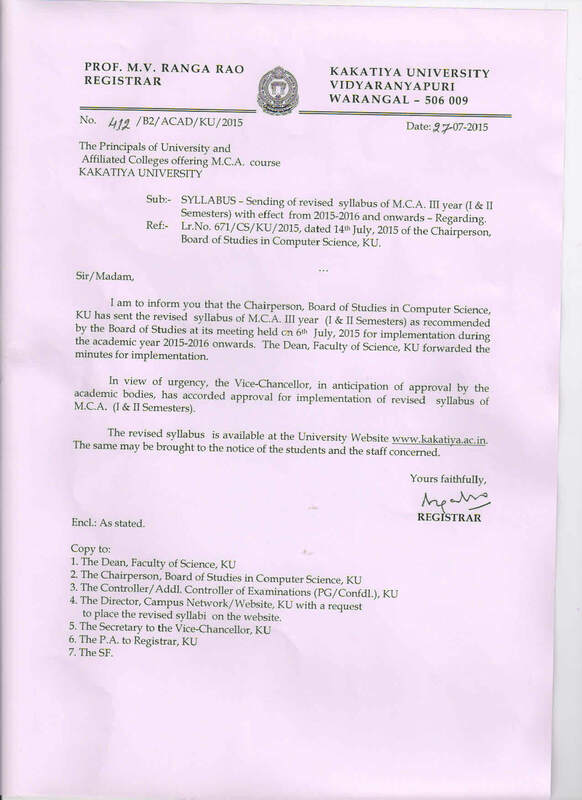 Report of the Committee on CBCS & CFSD submitted to Telangana State Government. 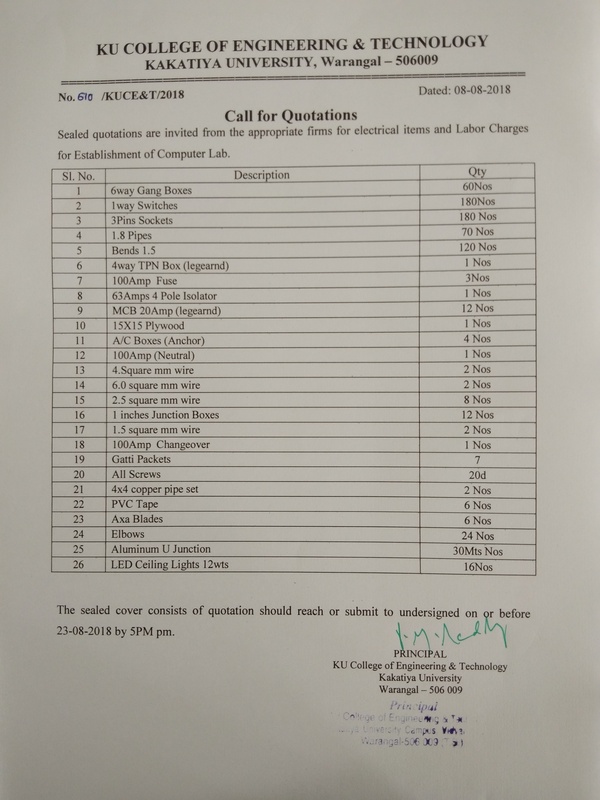 Fee Structure - PG III Semester - 2013-2014.